Nature is full of impressive animals which specialize in one unique aspect. This article looks at those animals which defy the odds and reach speeds way beyond what seems possible. Move over Usain Bolt, these creatures make the Jamaican's lightning sprints seem like a stroll in the park. You'd certainly want to be on their team during sports day! 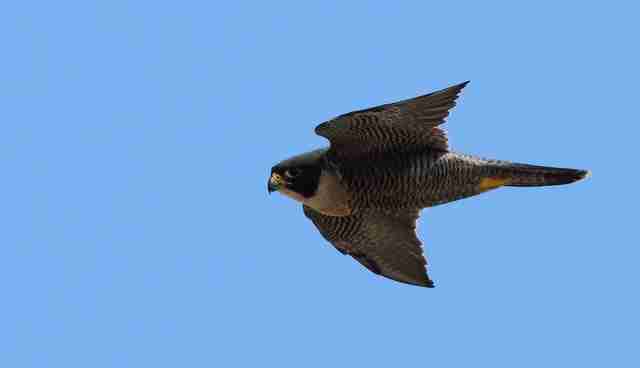 The peregrine falcon is the world's fastest bird and can reach speeds of a staggering 322 kilometers per hour (approx. 200 miles per hour) when hunting. The peregrine, which can be spotted nearly anywhere on earth, climbs to dizzy heights before diving back to earth to ambush its prey. They must catch their food on the wing to prevent smashing into the earth at those unimaginable speeds. Even when simply cruising, this feathery speedster can reach 99 kilometers per hour (approx. 62 miles per hour) on a casual horizontal flight. A true master of the sky, the peregrine falcon combines both speed and agility to become a formidable force and the fastest known animals on the planet. 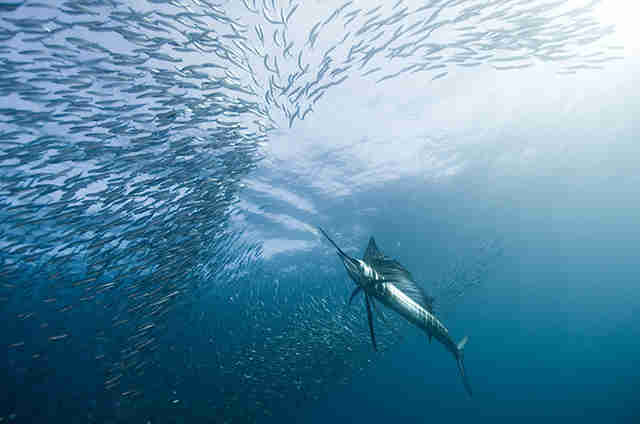 The sailfish is the undisputed champion of underwater speed. Notching up to a mind-boggling 110 kilometers per hour (approx. 68 miles per hour), this unique fish is a fearsome predator for its helpless prey. These wonderful fish are named after their large dorsal fin (usually called its sail) which stretches the length of its back. For a fish that doesn't tend to grow to more than 3 feet, the sail helps give a more threatening image. Much isn't known about these speedsters and their attraction to anglers is causing a rapid decline in their numbers. However, they remain the fastest fish in the ocean! 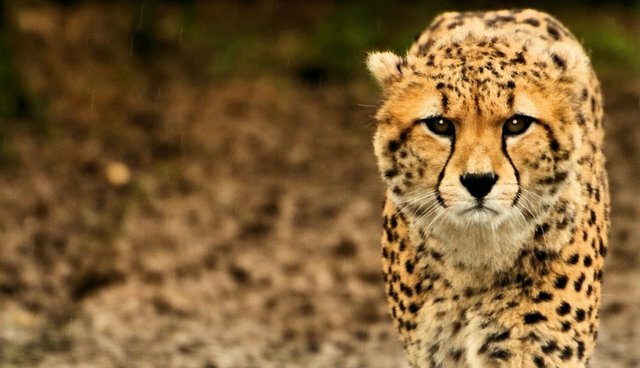 When you think of fast animals, you undoubtedly think of the cheetah. Their whole body is designed for speed and they are an impressive specimen of evolution. Chasing down their prey all around East Africa, the cheetah can reach speeds of up to 113 kilometers per hour (approx. 70 miles per hour), three times that of the fastest human! 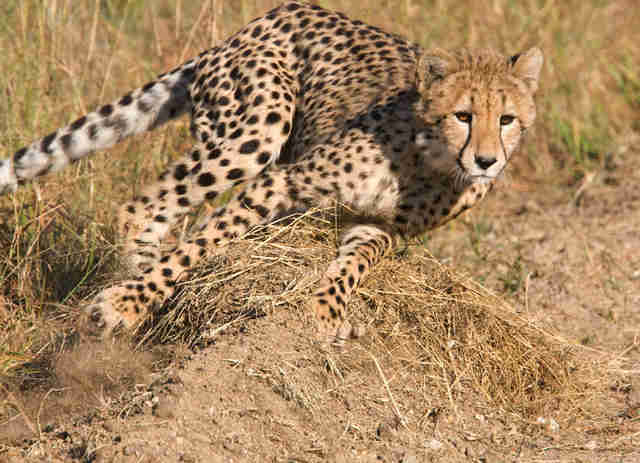 Speed is imperative to the cheetah because their prey, the gazelle, is almost as fast and nimble. Its long streamlined body ensures the animal is aerodynamic and their long legs reduce the number of strides needed to catch its prey. A long powerful tail acts as the rudder to accurately steer and maintain perfect balance even at such fearsome speeds. A true evolutionary masterpiece and the fastest land animals on earth. If the cheetah was the fastest animal on land, the pronghorn antelope is the second. Reaching speeds of up to 98 kilometers per hour (approx. 61 miles per hour), this animal uses its speed to outrun its predators with ease. 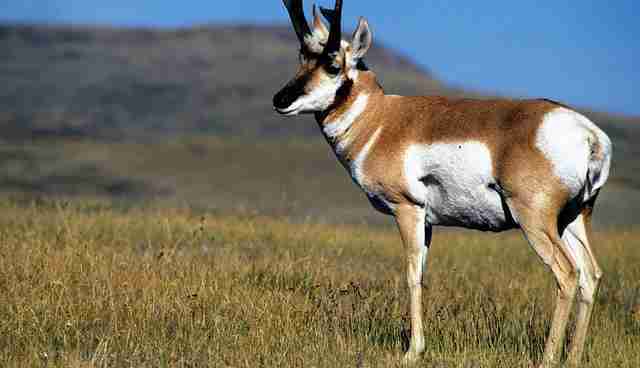 The pronghorn has developed cushioned toes and large organs that help facilitate the incredible speeds it can reach. Not only is this animal's short sprints specialist, it is also pretty handy at long distance too! It's by far the fastest animal in North America, where it resides, which makes its speed an even more intriguing spectacle. Why has this antelope developed speed so much faster than other animals around it? Some suggest it evolved alongside a now extinct, much faster predator, perhaps the American cheetah. This cute little animal may not seem as imposing as the others on the list but make no mistake; it can certainly handle its own in a race. Their relatively long back-legs help propel these little hares to speeds of 77 kilometers per hour (approx. 48 miles per hour). This impressive skill is used to outrun its main predator, the equally fast fox. 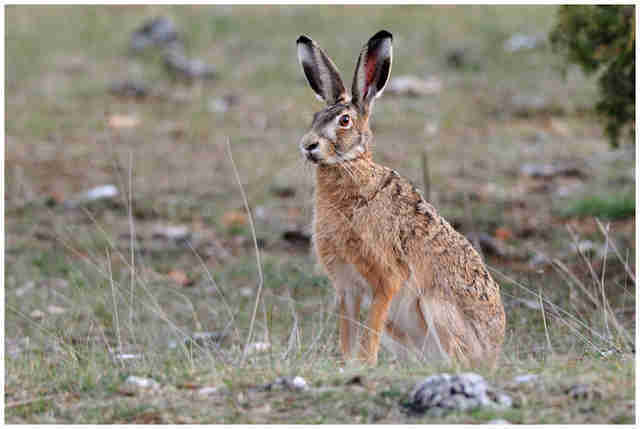 Hares have a range of acute senses which help detect danger before it's too late. Don't let their diminutive stature fool you. Brown hares would certainly fancy themselves in a footrace with anyone. All animals on the list boast impressive feats of speed and are all masterpieces of evolution. So which one would you want on your sports day team? If you are in love with nature and want to get closer to your favorite animals, then join one of our Wildlife Conservation Projects! Frontier offers a wide range of projects in many different countries allowing you to get close to the animals you see on the documentaries! By Ben Church Frontier runs conservation, development, teaching and adventure travel projects in over 50 countries worldwide - so join us and explore the world!